These are absolutely amazing and 100% vegan! Completely healthy for you AND the planet. Directions: Combine the milk, flour and garlic powder in a bowl and mix thoroughly. Coat the cauliflower well with the mix and place in a coated shallow baking dish or tray and bake for about 18 minutes on 450, stir or flip half way through for more even browning. 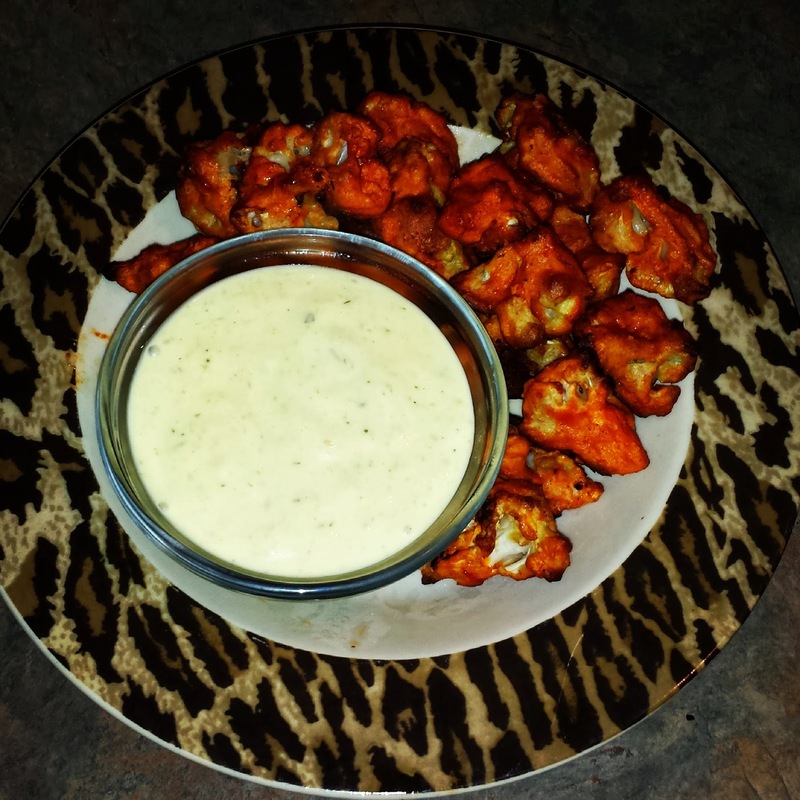 Combine buffalo sauce and oil in a bowl. When cauliflower is done add to the sauce and lightly toss. You can just add the sauce right to your dish however it burns the bottom of dish. Bake another 5 or so minutes with buffalo sauce. I also added various dried herbs like dill..lots of yummy dill, parsley, and oregano. Directions: In food processer or blender add garlic and pulse until chopped. Then add milk, cashews, lemon juice, garlic and onion powder and blend until smooth. I prefer to add the dill, parsley and oregano after blending. ENJOY!